A newly functional website, it is sleek and running like a well-oiled machine. 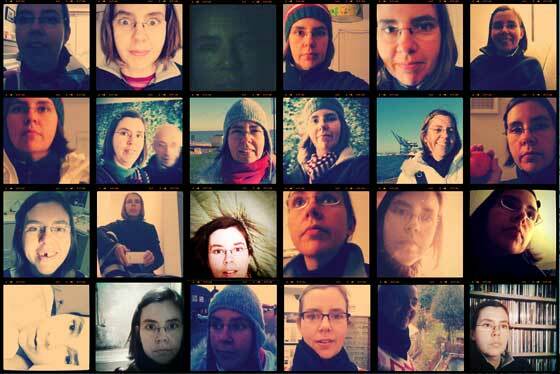 And many new projects to share, the first being 365 Days, a series of photographic self-portraits. Begun on Jan 1st and to continue until the end of the year. There are three of us embarked, but only time will tell who will finish. Here are the first 24 days of pictures. I’m loving the new look of your site and I’m really excited about your 365 project. I thought I’d start one this year, but didn’t make it to the end of the week! Go girl!